Pressure gauge arrived in good condition and was promptly installed. Works excellent and I would recommend this unit. 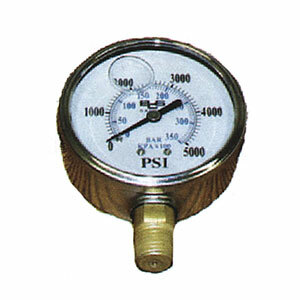 Ask us about the Barens 2427 1/4" MPT Stainless Steel 5000 PSI Pressure Gauge. Please no repair questions. Your Q&A may be posted to Jackssmallengines.com to help other shoppers, like you, with their purchasing decisions. Thank you.